Despite significant developments in the world of automated image captioning, current image captioning approaches are not well-aligned with the needs of people with visual impairments. People who are blind or with low vision share a unique and real challenge –their visual impairment exposes them to a time-consuming, and sometimes, impossible task of learning what content is present in an image without visual assistance. As such, these communities often seek a visual assistant to describe photos they take themselves or find online. In an ideal world, a fully-automated computer vision (CV) approach would provide such descriptions. However, this artificial intelligence (AI) process is riddled with challenges. Not only is CV work missing images taken by this population, but people who are blind and with low vision are required to passively listen to one-size-fits-all descriptions of images to locate information of interest. In addition, CV algorithms often deliver incomplete or incorrect information. Because of these shortcomings, reliable image captioning systems continue to depend on humans to provide descriptions of photos to people with visual impairments. But the Texas School of Information professors weren’t the only ones thinking about how to improve image captioning for people who are blind or with low vision. A team of researchers at Microsoft Research recently announced a similar vision and goal –to train AI systems to provide more detailed captions that can offer a richer understanding, and more accurate representation of images for the blind or those with low vision. In light of this mission, Microsoft Research developed a new project called the Microsoft Ability Initiative. After a competitive process involving a select number of universities, the search for an academic research unit with whom they could partner for the new venture came to an end when Microsoft Research chose The University of Texas at Austin, School of Information. 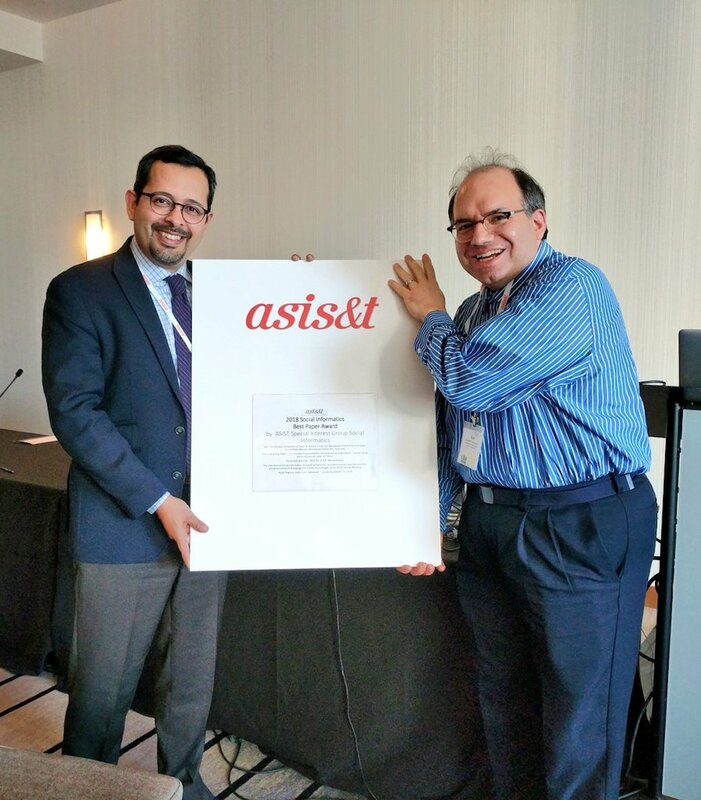 The proposed work of Gurari and Fleischmann was the only project selected through this competition. The Texas iSchool research team proposed two main tasks of (1) introducing the first publicly-available image captioning dataset from people with visual impairments paired with a community AI challenge and workshop, and (2) identifying the values and preferences of people with visual impairments –to inform the design of next-generation image captioning systems and datasets. “The collaboration builds upon prior Microsoft research that has identified a need for new approaches at the intersection of computer vision and accessibility,” explained Morris. The companywide initiative aims to create a public dataset that ultimately can be used to advance the state of the art in AI systems for automated image captioning. 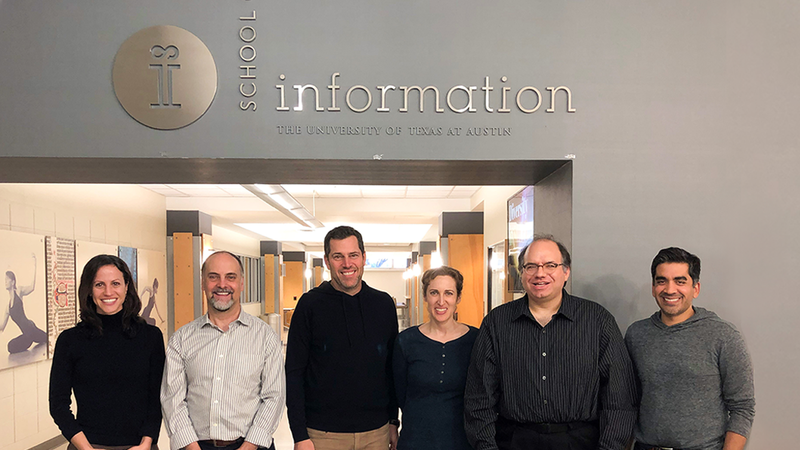 The Microsoft Research team which includes Ed Cutrell, Roy Zimmermann, Meredith Ringel Morris, and Neel Joshi, plans to collaborate with UT Austin, School of Information over an 18-month period. Gurari and Fleischmann will lead the UT Austin team, which will also include three PhD students and one postdoctoral fellow. The Microsoft Ability Initiative builds on the interdisciplinary team’s expertise in computer vision, human-computer interaction, accessibility, ethics, and value-sensitive design. Gurari’s team is experienced in establishing new datasets, designing human-machine partnerships, creating human computer interaction systems, and developing accessible technology. As co-founder of the ECCV VizWiz Grand Challenge in 2018, Gurari is skilled in community-building and has a previous record of success in creating public datasets to advance the state-of-the-art in AI and accessibility. Fleischmann’s team offers complementary experience in the ethics of AI and understanding users’ values to inform technology design. Given his expertise in the role of human values in the design and use of information technologies, Fleischmann will lead the effort focused on uncovering the needs and values of people with visual impairments –which will ultimately inform the design of future image captioning systems. The Microsoft researchers involved in this initiative have specialized experience in accessible technologies, human-centric AI systems, and computer vision. “Our efforts are complemented by colleagues in other divisions of the company, including the AI for Accessibility program, which helps fund the initiative, and Microsoft 365 accessibility,” explained Morris. The Texas iSchool team will employ a user-centered approach to the problem, including working with communities who are blind or with low vision to improve understanding of their expectations of image captioning tools. The team will also host community challenges and workshops to accelerate progress on algorithm development and facilitate the development of more accessible methods to assist people who are blind or with low vision. The Microsoft Research team launched the new collaboration with the Texas iSchool during a two-day visit to Austin in January. Morris noted that the Microsoft Research team came away from the meeting at The University of Texas at Austin, School of Information, “even more energized about the potential for this initiative to have real impact in the lives of millions of people around the world.” “We couldn’t be more excited,” she said. The University of Texas at Austin’s School of Information hosted an Accessible Web Demonstration and Hackathon on Friday, October 26, 2018. The five-hour event, which took place from 12:00 to 5:00 p.m. in the iSchool IT Lab, was co-sponsored by the iSchool’s IT Team and Diversity and Inclusion Committee. Knowbility brought in volunteers from AccessWorks, a Knowbility program that connects usability and UX professionals to people with disabilities who can then test web sites and apps using their own assistive technologies (such as screen readers, screen magnifiers, special keyboards etc.). Anne Forrest and Barry Armour demonstrated assistive technologies used in the service of accessing Web and other digital content. There is no more compelling way to teach accessible design than to work with –and hear directly from— those who rely on assistive technologies every day. Forrest, who suffered a brain injury several years ago, has been recognized as one of the nation's leading patient advocates for people with traumatic brain injury. Armour, a blind screen-reader user who lost his eyesight about 6 years ago, is an advocate for educating people about technology and making it accessible for everyone. Forrest provided a unique perspective on how screen color and movements affect people with brain injuries, while Armour demoed screen readers. The group discussed some of the most common design considerations regarding accessible code. Event participants then had the opportunity to hack on the iSchool Website to help improve the School’s accessibility score –determined by the WorldSpace auditing tool, and used by UT’s Division of Diversity and Community Engagement. “I can’t thank Knowbility (Sharron, Jillian, and Christi) or Anne and Barry enough for making our Accessibility Hackathon such a success,” said Sam Burns, Texas iSchool’s Senior IT Manager. “There is no more compelling way to teach accessible design than to work with –and hear directly from— those who rely on assistive technologies every day,” he stated.